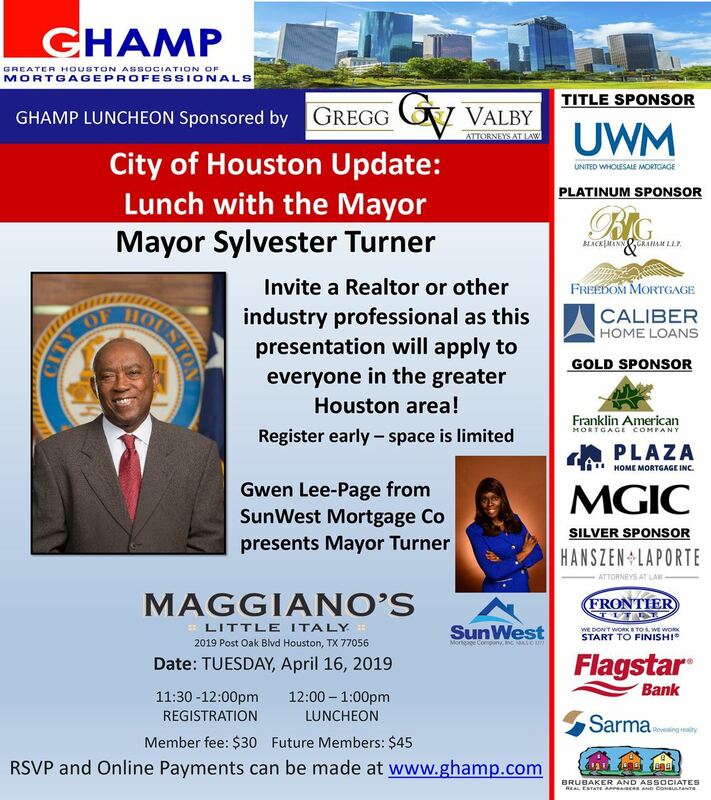 The Greater Houston Association of Mortgage Professionals was founded by the prior board members of the GHAMB (Greater Houston association of Mortgage Brokers) in response to the changes in Federal regulation. The association's breadth was increased to encompass all licensed and independent mortgage brokers and bankers, title companies, lenders and real estate professionals. As one of the most powerful voices of the industry in Texas, GHAMP provides our members with unmatched educational programs, legislative updates, advocacy, and legal resources.